Stalinism is a theory and practice of communism conceived and implemented by Joseph Stalin in the Soviet Union whilst officially adhering to Marxist–Leninism. The term came into prominence during the mid-1930s, when Lazar Kaganovich, a Soviet politician and associate of Stalin, reportedly declared, "Let's replace Long Live Leninism with Long Live Stalinism!" Stalin initially met this usage with hesitancy, dismissing it as excessive, and contributing to a cult of personality. Some criticize Stalinist practical measures, such as repression and economic policy, as a deviation from both Marxist and Leninist philosophy. Stalinist policies in the Soviet Union included: rapid industrialization, socialism in one country, a centralized state, collectivization of agriculture, and subordination of interests of other communist parties to those of the Soviet party - deemed to be the most forefront vanguard party of socialist revolution at the time. Stalinist rapid industrialization in the Soviet Union was officially designed to accelerate the development towards communism, stressing that such rapid industrialization was needed because the country was previously economically backward in comparison with other countries; and that it was needed in order to challenge internal and external enemies of communism. Rapid industrialization was accompanied with mass collectivization of agriculture and rapid urbanization. Rapid urbanization converted many small villages into industrial cities. To accelerate the development of industrialization, Stalin pragmatically created joint venture contracts with major American private enterprises, such as Ford Motor Company, that under state supervision assisted in developing the basis of industry of the Soviet economy from the late 1920s to 1930s. After the American private enterprises completed their tasks, Soviet state enterprises took over. Stalinism took an aggressive stance on class conflict, utilizing state violence to forcibly purge society of the bourgeoisie. State violence against the affluent peasant Kulaks was initiated in response to CPSU workers who were sent to enforce the collectivization of farms, being subjected to gunfire, riots, and mass protests by peasants; Stalin believed that the Kulaks incited the violence. Stalin responded by committing classicide against the Kulaks for being class enemies. Stalinism may be used in a negative or pejorative manner due to the known extremely repressive political actions undertaken by Stalin. The reasons for Stalin's repressive actions have been debated. One perspective claims that Stalin's repressive actions were calculated, and that he was mentally sane in his execution of repressive measures. Another, and probably legitimate perspective, states that Stalin's repressive political actions were the result of him having mental illness. This states that Stalin likely had the mental disorder of psychopathy, and that its traits such as paranoia and manipulative behaviour influenced his political decisions. Concurrent with the previous scenario, a third perspective suggests that Stalinism's repressive actions were an extension of the prevailing authoritarian political culture that originated in Tsarist Russia. Stalinism usually denotes a style of a government, and an ideology. While he claimed to be a perfect adherent to the ideas of Vladimir Lenin and Karl Marx, and hence claimed that it was merely a style of government, many of his policies and beliefs were different or in direct opposition to those of Lenin and Marx. Stalin's ideas of Socialism in one country, his adoption of many aspects of capitalism, and his turn to complete, permanent dictatorship were all in stark contradiction to the ideologies put forth by Lenin or Marx. Stalinism is a certain political regime claiming to apply the ideas of Marx or Lenin in ways fitting the changing needs of society, as with the transition from "socialism at a snail's pace" in the mid-1920s to the rapid industrialization of the Five-Year Plans. Simultaneously, however, some people who profess Marxism or Leninism view Stalinism as a perversion of their ideas; Trotskyists, in particular, are virulently anti-Stalinist, considering Stalinism a counter-revolutionary style of governance that used vaguely Marxist-sounding rhetoric to achieve power. From 1917 to 1924, Lenin, Trotsky, and Stalin often appeared united, but their ideological differences never disappeared. In his dispute with Leon Trotsky, Stalin de-emphasized the role of workers in advanced capitalist countries (for example, he considered the U.S. working class as bourgeoisified labour aristocracy). Also, Stalin polemicized against Trotsky on the role of peasants, as in China, whereas Trotsky's position was in favor of urban insurrection over peasant-based guerrilla warfare. The groundwork for the Soviet policy concerning nationalities, laid in Stalin's 1913 work Marxism and the National Question, praised by Lenin. Stalin argued that the state must become stronger before it can "wither away" in favor of creating the utopian classless Communist society (which has never been achieved). In Stalin's view, the state must be powerful enough to defeat counterrevolutionary elements. For this reason, Communist regimes influenced by Stalin have been widely described as totalitarian. At the start of the 1930s Stalin launched a wave of radical economic policies, which completely overhauled the industrial and agricultural face of the Soviet Union. This came to be known as the 'Great Turn' as Russia turned away from the near-capitalist 'New Economic Policy'. The NEP had been implemented by Lenin in order to ensure the survival of the Socialist state following seven years of war (1914–1921, World War I from 1914 to 1917, and the subsequent Civil War) and had rebuilt Soviet production to its 1913 levels, however, Russia still lagged far behind the West, and the NEP was felt by Stalin, and the majority of the party, not only to be compromising Communist ideals, but also not delivering sufficient economic performance, as well as not creating the envisaged Socialist society. It was therefore felt necessary to increase the pace of industrialisation in order to catch up with the West. According to many historians, Stalinist agricultural policies were a key factor in causing the Soviet famine of 1932–1933, which the Ukrainian government now calls the 'Holodomor', recognizing it as an act of genocide. Although worker's councils were politically significant in the earliest stages of the Soviet Union, they soon lost their power and significance as political power became more centralised and was concentrated in the hands of the higher levels of a developing hierarchy within the All-Union Communist Party. The operation of the Soviet Union under Stalinism was almost entirely undemocratic, vesting absolute power into unelected bureaucrats. This was abhorrent to soviet (council) communists, and more orthodox Leninists, who believe that workers' councils, or communes, embody the fundamental principles of socialism, such as workers' control over production and distribution, indeed, some have described 'council' communism as "socialism from below," which they counterpose against what they see as the "socialism from above" that was endorsed by Stalinism. According to this view, socialism from above is carried out by a centralized state run by an elite bureaucratic apparatus, whereas socialism from below represents the self-administration and self-rule of the working class. Council communists described the Soviet Union as a pseudo-capitalist state, believing that the Bolshevik revolution in Russia became a "bourgeois revolution" when a party bureaucracy replaced the old feudal aristocracy. Although most council communists felt the Russian Revolution was working class in character, they believed that the Soviet Union was a 'state capitalist country', with the state replacing the individual capitalists (an additional argument in favour of that was the continued existence of capitalist relations, as manifested e.g. in the 'New Economic Policy' - NEP). The core principle of council communism is that the government and the economy should be managed by workers' councils composed of delegates elected at workplaces, and recallable at any moment. As such, council communists oppose the idea of an authoritarian "State socialist"/"State capitalist" planned economy, such as in the Soviet Union. They also oppose the idea of a "revolutionary party", since council communists believe that a revolution led by a party will necessarily produce a party dictatorship. Council communists support a worker's democracy, which they want to produce through a federation of workers' councils. 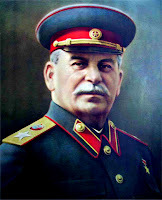 The historiography of Stalin is diverse, with many different aspects of continuity and discontinuity between the regimes of Stalin and Lenin proposed. Stalinism may be seen as the natural consequence of Leninism, that Stalin "faithfully implemented Lenin's domestic and foreign policy programmes". More nuanced versions of this general view are to be found in the works of other historians, who suggests that "institutionally and ideologically, Lenin laid the foundations for a Stalin... but the passage from Leninism to the worse terrors of Stalinism was not smooth and inevitable." Proponents of continuity cite a variety of contributory factors: it is argued that it was Lenin, rather than Stalin, whose civil war measures introduced the 'Red Terror', with its hostage taking and internment camps, that it was Lenin who developed the infamous Article 58, and who established the autocratic system within the Communist Party. They also note that Lenin put a ban on factions within the Russian Communist Party and introduced the one-party state in 1921 - a move that enabled Stalin to get rid of his rivals easily after Lenin's death, and cite Felix Dzerzhinsky, who, during the Bolshevik struggle against opponents in the Russian Civil War, exclaimed "We stand for organised terror – this should be frankly stated". Opponents of this view include revisionist historians and a number of post–Cold War and otherwise dissident Soviet historians including Roy Medvedev, who argues that although "one could list the various measures carried out by Stalin that were actually a continuation of anti-democratic trends and measures implemented under Lenin... in so many ways, Stalin acted, not in line with Lenin's clear instructions, but in defiance of them". In doing so, some historians have tried to distance Stalinism from Leninism in order to undermine the Totalitarian view that the negative facets of Stalin (terror, etc.) were inherent in Communism from the start. Critics of this kind include anti-Stalinist communists such as Leon Trotsky, who pointed out that Lenin attempted to persuade the CPSU to remove Stalin from his post as its General Secretary. Lenin's Testament, the document which contained this order, was suppressed after Lenin's death. It is suggested that on being faced with the evidence "only the blind and the deaf could be unaware of the contrast between Stalinism and Leninism". It has also been argued that "Stalinism was not a natural flow-on of earlier developments; it formed a sharp break resulting from conscious decisions by leading political actors." Stalinism has been considered by some reviewers as a "Red fascism". During the 20th century, the comparison of Stalinism and National Socialism was made on the topics of totalitarianism, ideology, and personality. Both regimes were seen in contrast to the liberal West, however it was also argued that the National Socialist regime was far too disorganized to be considered totalitarian (alhough this is disputed). Stalinism and National Socialism mutually emphasized the importance of utopian biopolitics, especially in regards to reproduction. This emphasis alone was not unique, as many other European states practiced eugenics at this time, and the Stalinist and National Socialist ideals were vastly different. The key similarity was the connection of reproduction policies with the ideological goals of the state. There were nevertheless substantial differences between the two regimes' approaches, - Stalin's Soviet Union never officially supported eugenics as the Nazis did - the Soviet government 'officially' called eugenics a "fascist science", however there were in fact Soviet eugenicists; also the two regimes had different approaches to the relationship between family and paid labour - National Socialism promoted the male single-breadwinner family while Stalinism promoted the dual-wageearner househould. The Third Reich, the Soviet Union, and Fascist Italy were all highly concerned over low fertility rates. Reproductive policies in the Soviet Union and National Socialist Germany were administered through their health care systems - both regimes saw health care as a key pillar to their designs to develop a new society. While the Soviet Union had to design a public health care system from scratch, the Third Reich built upon the pre-existing public health care system in Germany that had been developed since 1883 by Otto von Bismarck's legislation that had developed the world's first national public health care program, and since then public health care had dramatically increased in scope. The National Socialists centralized the German health care system in order to enforce Volkisch ideological components upon it, the National Socialists replaced existing voluntary and government welfare agencies with new ones that were devoted to racial hygiene and other components of Volkisch ideology. The Communist Party in the RSFSR embraced eugenics in 1920 with the founding of the 'Russian Eugenics Society', followed the next year with the founding of the 'Bureau of Eugenics' in the Soviet Academy of Sciences. Both Stalinism and National Socialism share an ideological vision of creating an ideal 'new man', both identified the "bourgeois" world as the old world that was obsolete, and both involved a total rejection of liberalism as well as individual rights and freedoms, in which they sought to create a new, illiberal modern society. This vision of the 'New Man' differed between them, the Stalinists conceived of the 'New Man' as necessarily involving the liberation of all of humanity - a global and non-ethnic goal, while the National Socialists conceived of the 'New Man' as a 'new creation' and a 'master race' that would organize a new racial hierarchy in Europe. Though fascist regimes were ideologically opposed to the Soviet Union, some of them positively regarded Stalinism as evolving Bolshevism into a form of fascism. Benito Mussolini positively reviewed Stalinism as having transformed Soviet Bolshevism into a Slavic fascism. Despite ideological differences and holding territorial claims on the Soviet Union, Adolf Hitler admired Stalin and his politics, and believed that Stalin was in effect transforming Soviet Bolshevism into a form of National Socialism. Both ideologies (National Socialism and Stalinism) were about building a form of socialism. The National Sociaists were undoubtedly sincere in their use of the adjective socialist, which they saw as inseparable from the adjective national, and meant it as a socialism of the master race, rather than the socialism of the "underprivileged and oppressed seeking justice and equal rights." Further, while Hitler for "tactical" reasons had rhetorically declared a 1920 party platform with socialist platitudes "unshakable," actually "many paragraphs of the party program were obviously merely a demagogic appeal to the mood of the lower classes at a time when they were in bad straits and were sympathetic to radical and even socialist slogans...Point 11, for example...Point 12...nationalization...Point 16...communalization.... put in at the insistence of Drexler and Feder, who apparently really believed in the 'socialism' of National Socialism." In actual practice, such points were mere slogans, "most of them forgotten by the time the party came to power.... the Nazi leader himself was later to be embarrassed when reminded of some of them." At the same time Stalin was consistent in his implementation of complete nationalization and communalization of the country.